Before the country is called Burkina Faso, it was formerly called Republic of Upper Volta. 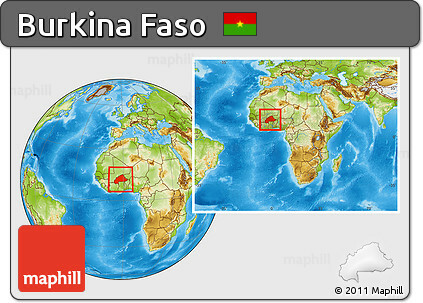 On 4 August 1984, the country was renamed as Burkina Faso. The people who live in the country are called Burkinabe. The people speak French. This language is mostly used in business and government. Mossi Kingdom was one of the ethnic groups who led Burkina Faso in the past. In the end of 19th century, Burkina Faso was conquered by French and other colonial powers. In 1960, Burkina Faso got the independence from France. In October 2014 to September 2015, Burkina Faso has the semi presidential republic. The oral tradition in the country is still the most important one. Nazi Boni and Roger Nikiema were heavily influenced a lot by the oral tradition. Dancing wearing mask is always seen in the traditional ritual ceremonies in Burkina Faso. Check Britain facts here. The arts and crafts of Burkina Faso are unique. The production of crafts is increased in the country to meet the need of the tourist industries. The staple foods for the people in Burkina Faso include millet, sorghum, peanuts, maize, rice, yams, beans, potatoes, and okra. Get facts about Botswana here. The common drink in Burkina Faso is the fermented palm sap. It is called Palm wine or Banji. Capital City: Ouagadougou is the capital of Burkina Faso and the administrative, communications, cultural and economic centre of the nation. It is also the country’s largest city, with a population of 1,475,223. The city’s name is often shortened to Ouaga. Religion: Burkina Faso is religiously diverse society with Islam being the dominant religion. According to recent census (2006) conducted by Government of Burkina Faso, 60.5% of the population adheres to Islam. The vast majority of Muslims in Burkina Faso are Malikite Sunni, deeply influenced with Sufism.